Welcome to Miami – the city of beaches, bikini-clad beauties and perfect party weather! We’re pretty sure that the all-white party originated here and is still going strong, but is there more than meets the eye in this palm tree paradise? We turned to Jassi Lekach, of J Group Events, to hear about her version of Miami and get the real scoop on what’s happening down south. Spoiler alert: there’s more to see than just acrylic bars and glow lights. 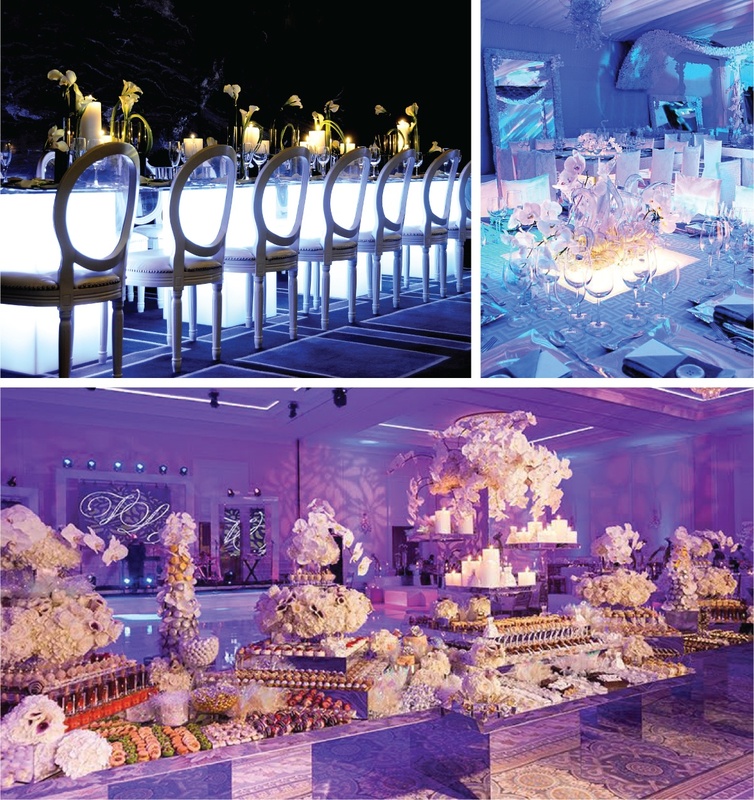 Nüage Designs: Tell us your story – how did you begin designing and planning weddings & events? Jassi Lekach: I grew up with a large family that was constantly hosting events, from weekly Friday night dinners to countless weddings, bar mitzvahs, birthday parties, and brises. So when I interned for Conde Nast incorporate sales during my first summer of college, it was only natural that I should gravitate to the corporate events department. After interning and later working at Karla Conceptual Event Experiences in Miami, there was no denying my love for designing events. ND: We know you do a good bit of corporate work, how is this a different process from the wedding and social events process? JL: When planning corporate events, we are working with experienced professionals who have a clear vision, budget, and goals for their event. Whereas with social and wedding clients, it’s a more emotional process, since we are working with people who are celebrating the most special times of their lives and they usually need more guidance in executing their vision. ND: You’re always coming up with fresh concepts to incorporate at events, where does this inspiration come from? JL: I am inspired by life, music, art, interior design, and random observations. Naturally curious, I always seek out new experiences, restaurants, and destinations to visit. I also love Instagram & Pinterest, but will go offline when I am designing something totally new. JL: Most clients come to us saying they want something totally new, different, and never seen before, so we don’t really have to push them to let us get edgy on the design. 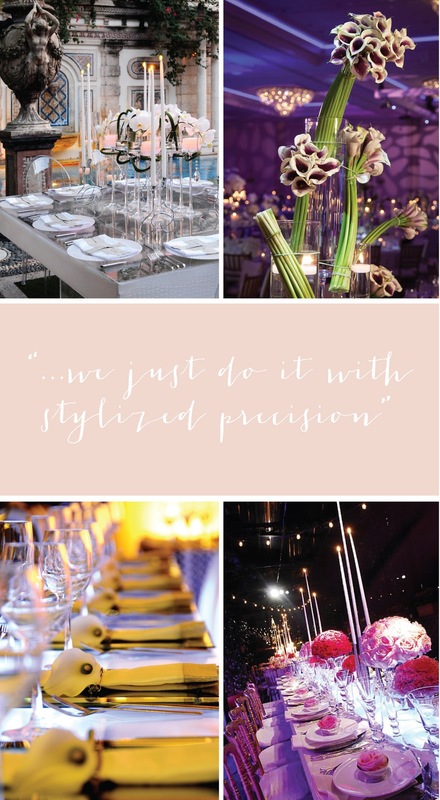 If they are more classic in their tastes, we also love to create events that are wholly elegant and traditional – we just do it with a stylized precision. ND: Miami is changing, has been changing so quickly these past years, do you find a lot of inspiration in the direction it’s taking? JL: Definitely! Miami has grown up to become a cultured city with amazing museums, buildings, restaurants, and performance spaces, many with an oceanfront view. ND: What does a perfect day in Miami look like to you? JL: A morning at the beach with my family and friends, children’s philharmonic concert at the New World Symphony, late lunch & book shopping at Books & Books on Lincoln road, ending with watching the sunset & the cruise ships from South Pointe Park. ND: What are your favorite places to hang out, eat, have a drink, relax, dance late into the night? JL: Some of my favorite places include the Perez Art Museum (lunch & art with great views), Zak the Baker, The Dutch at the W hotel, being poolside at The Edition, the spa at the Ritz Carlton Bal Harbour, The Mandarin Oriental (they always have great music and the restaurants and views are perfection). I also love going by boat to Seaspice or Zuma. I also love walking around Wynwood, the Design District, Coconut Grove, and Sunset Harbor. ND: You’re a full-time business owner, lovely wife and incredible mom, how do you make it all happen? JL: I could not do any of this without the incredible support of my family (especially my mother), my team, and all of the amazing vendors I work with. I make it all happen with my calendar, to-do lists, and working without interruption in the evening hours after my kids are asleep. I also observe the Sabbath, which is the greatest day to recharge my battery and spend quality time with my husband and kids. ND: What are your life-essentials? JL: My iPhone, laptop, my car (which is like my second home), workouts, books, great music and Instacart. ND: We have to pick your brain while we have you, what trends do you see for the fall wedding season? Any color palettes or themes that you’re dying to use? Is there a Nüage linen that you’re obsessing over right now? JL: I see metallics like rose gold, brass, silver, and gold, especially mixed, as a big trend for fall 2016. Jewel tones softened by pastel colors are also going to be big for fall. We are loving statement napkin rings, unconventional printing methods, and personal touches incorporated into weddings. I was dying to create a large scale digitally mapped flower wall which a very cool couple let me do for their wedding this past January. Right now I am obsessed with the Sultry Beige Anita, Black Alumettes, Grey Laurel, and any cool swatches I find in your sample closet. ND: If you could leave us with one piece of advice, what would it be? JL: Simplicity is the ultimate sophistication. We can hardly believe spring is already here! 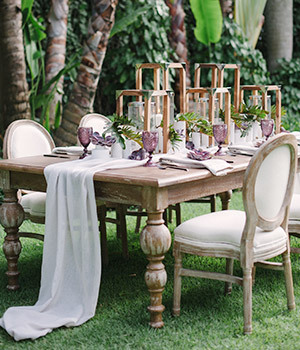 With the warm sun shining and tulips peeking out from their buds, it’s the perfect season for an outdoor gathering. 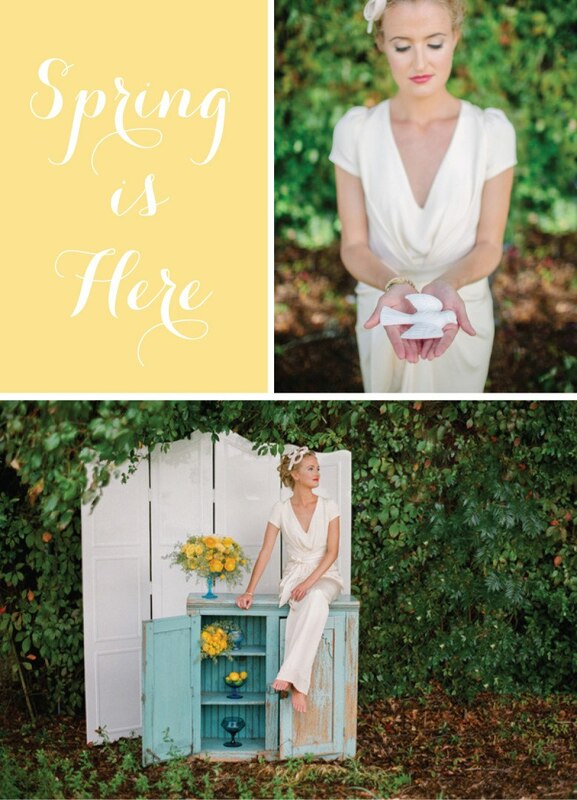 We’re taking it down to sunny Florida for an Easter-inspired photo shoot with striking images captured by pure7studios. Set against the lush green outdoors, Shelby Peaden Events combines a lively green and yellow color palette with pops of turquoise blue. Whether you’re planning an Easter weekend wedding or throwing a spring brunch, these bold patterns will inspire the brightest parties! 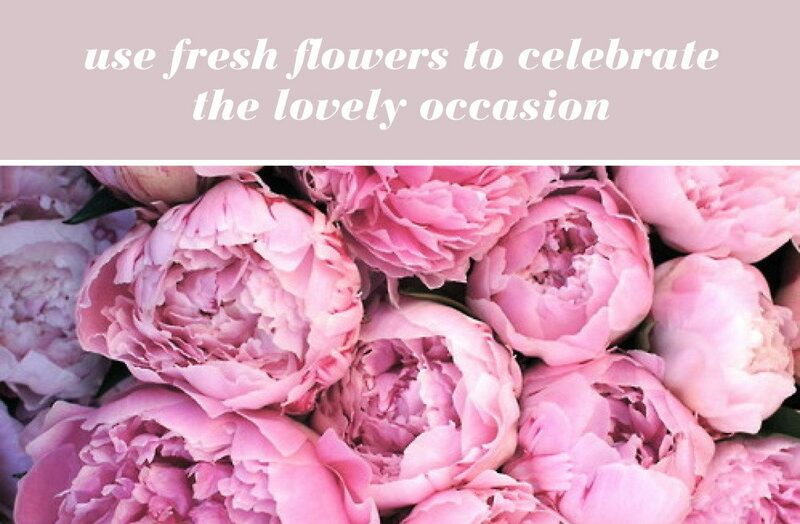 With spring in the air and nature coming to life all around us, we’re full of fresh ideas for the wedding season in bloom. 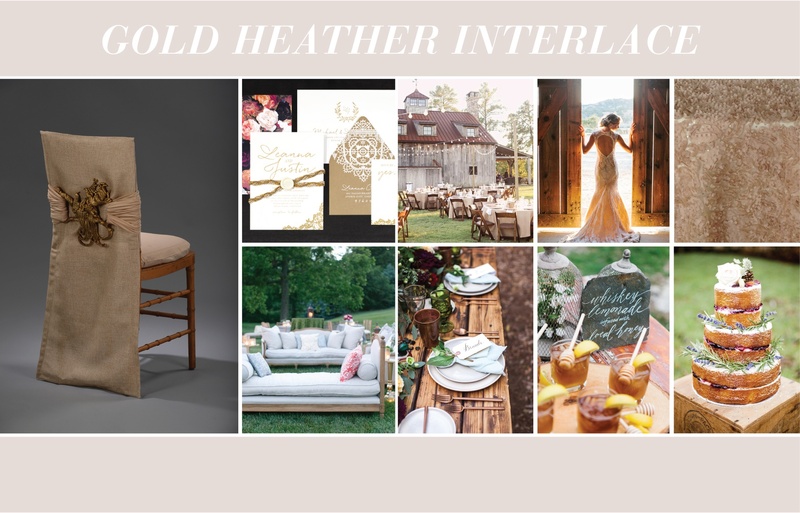 Inspired by the beautiful craftsmanship of the Interlace collection, we’ve styled three unique wedding boards around the versatility of these pieces. Here’s what wedding dreams are made of! 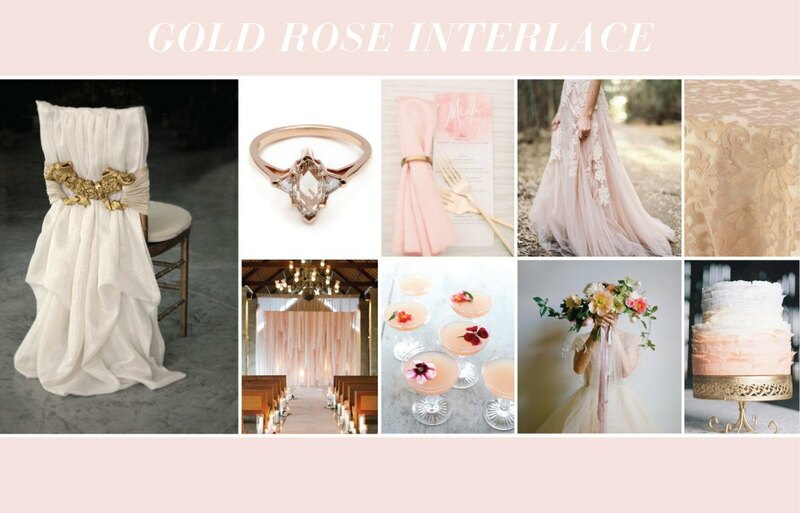 With a palette spanning shades of ivory and taupe, this rustic wedding twinkles under shimmering strings of light. Beautifully crafted wood acts as the foundation of this affair accented with light and delicate details from the outdoors. 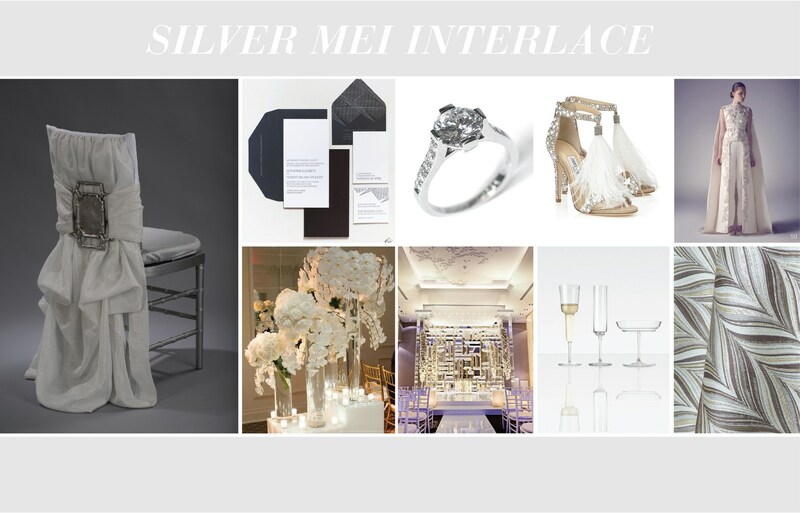 Modern and minimalist weddings come to life in elegant black and metallic silvers. Contrasting sleek and geometric shapes with soft white orchids and warm candlelight makes this a perfectly balanced bash! As we look around it feels like the world is our muse acting as the inspiration behind the perfect day. With a style suited for whatever your taste, it’s the ideal time to explore and dream of all the possibilities! There’s something about a hazy sky and overcast waters that just brings out the romantic in us. The moody air makes us want to cozy up with our loved one and relish in an afternoon together. Seems like we’re not the only ones who feel this way! 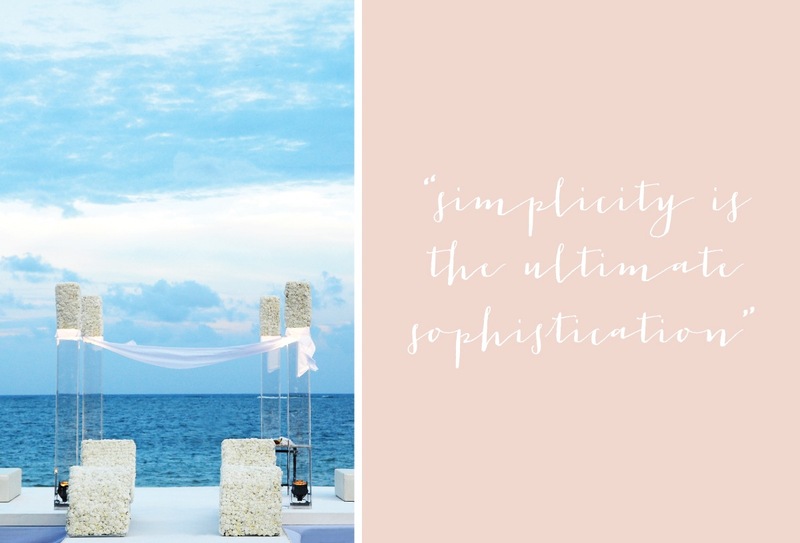 Inspired by the calm gray palette of a cloudy day, Ashley Espinal of Dulce Dreams Events designed this lovely inspirational wedding shoot. The nod to nautical is so elegant here, substituting pale grays and metallic silvers with a delicate touch of blush for the bold navy and red that we’ve come to expect. Lovely soft florals from L’Oasis and a cake we could dive into from Madison Lee’s Cakes add a subtle touch of color. And the setting, well, what a perfect location! Gorgeous photos shot by Cyrience Photography and Alexis June Weddings at Maritime Parc, overlooking downtown Manhattan, and on the sailboat of our wedding dreams capture this magical moment. Scroll for more images and to shop the look below! The clock strikes three and thoughts of cute little sandwiches and delicious scones drift through our minds. 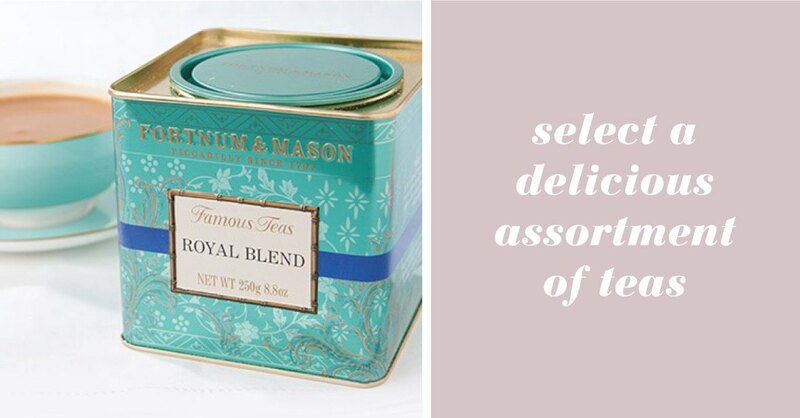 It’s officially tea time! There’s nothing quite like a gathering of friends over afternoon tea, a tradition that dates back to the 1800s but feels timeless, even today. We’re taking the essential pieces of afternoon tea and giving them a modern twist for the ultimate guide to throwing your own tea party! Let’s start with the table. 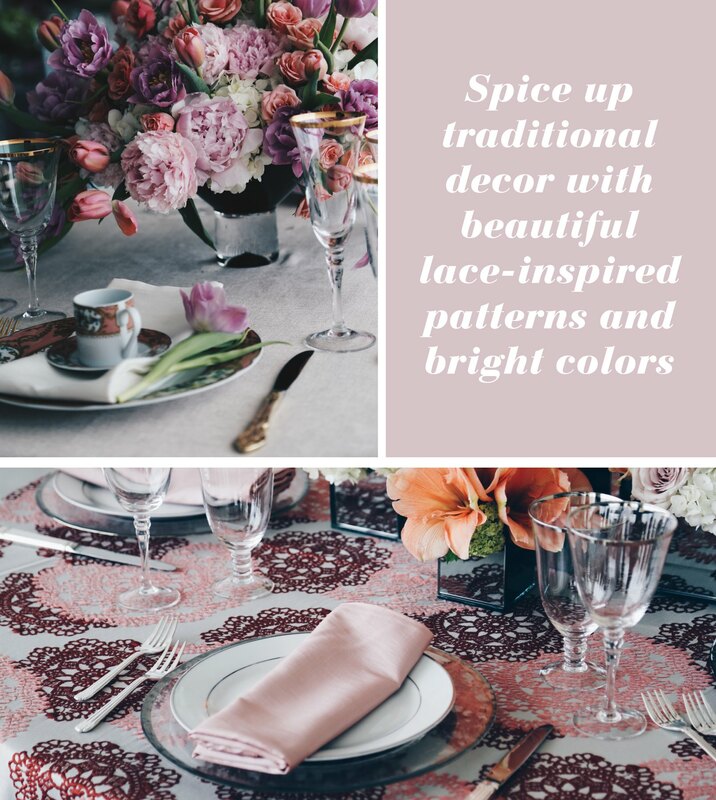 Delicate lace and crocheted doilies inspire unique patterns in fresh colors. 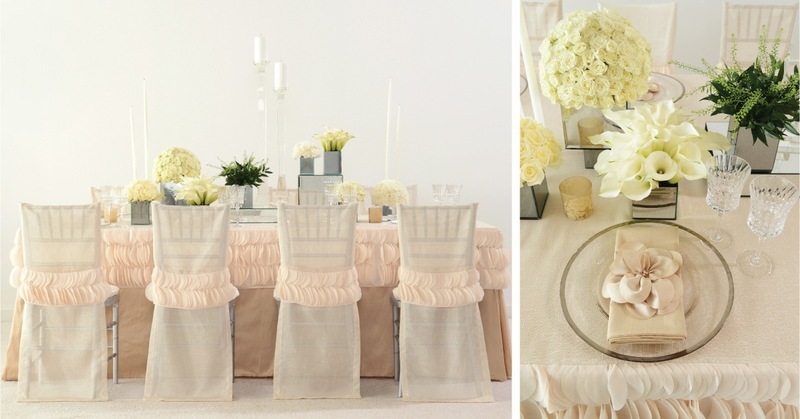 Consider a color palette lively with coral and blush hues to pep up your afternoon! 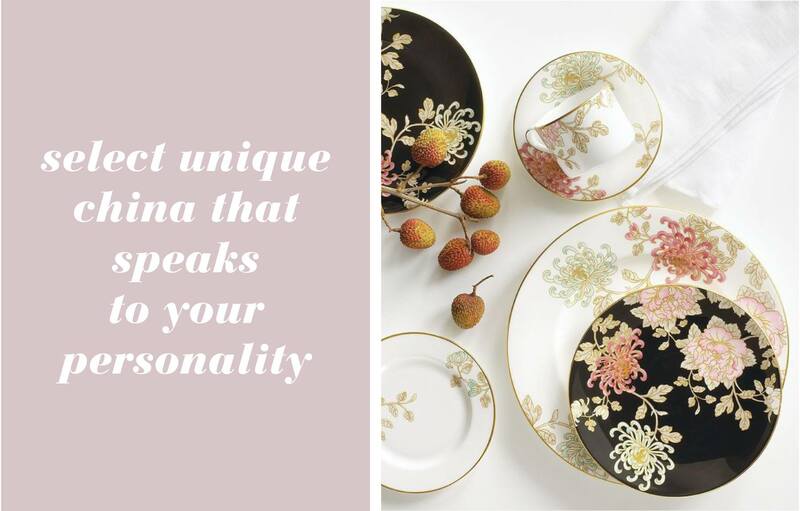 Find the perfect china to show off your personal style. 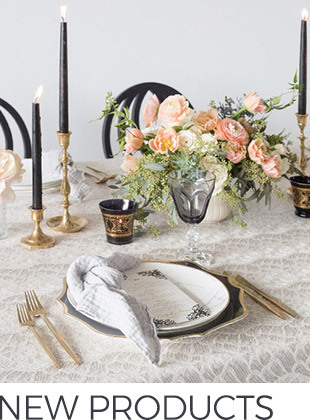 We love this dainty Camellia pattern with bold black and white contrasting plates (from Marchesa by Lenox). It adds character and a touch of gilded sophistication. Put together a simple arrangement of flowers – a wonderful excuse to visit your local florist or farmer’s market! Find out what’s in season and experiment with an array of colors to celebrate the afternoon. Not only will they be beautiful décor, but their fragrant aroma will delight your guests! We love these peonies! 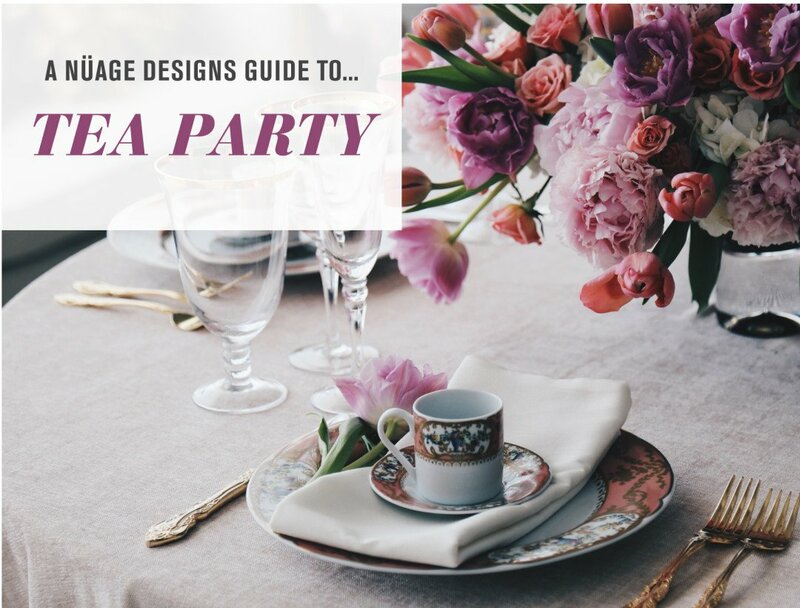 Design a comfortable environment for guests to relax and sip their tea. 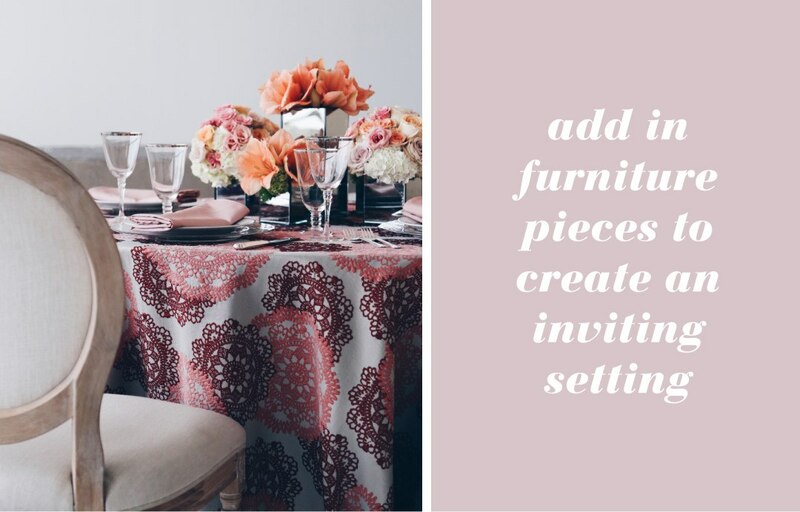 Use furniture and plush seating to keep conversation flowing! We love these pieces inspired by the French countryside with wooden frames and neutral linen fabrics. All those tasty sweets that you’ve been dreaming of? This is a perfect occasion to indulge and share with friends! 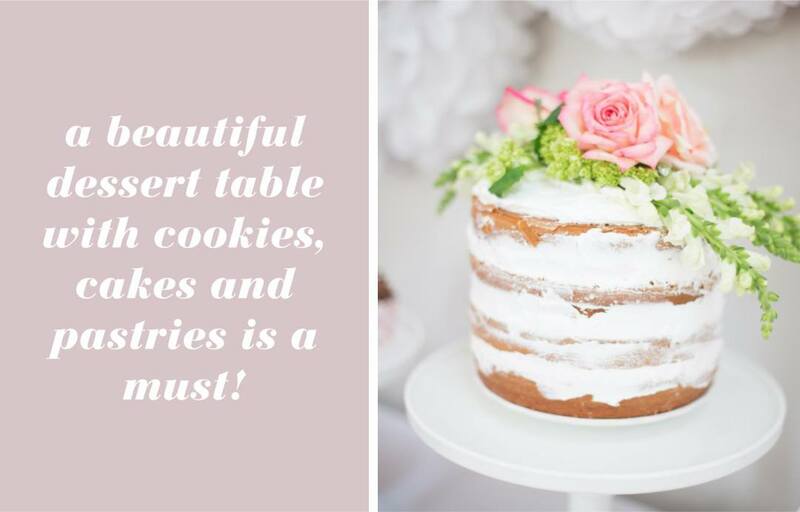 Arrange delicious treats on pretty trays and charming tiered cake stands for a beautiful visual effect. This naked cake looks like it’s worth the calories! And of course, let’s not forget the tea. With so many options to explore, curate a selection that will appeal to your guests’ varying tastes. It also doesn’t hurt if they come in a pretty tin! There’s nothing quite like tea time – a simple tradition that brings together friends for an afternoon of delicious happiness. This weekend we say you pick up some flowers, whip up a few sweets and steep a perfect cup of tea with some pals. Make it all your own style and always remember, pinkies up! 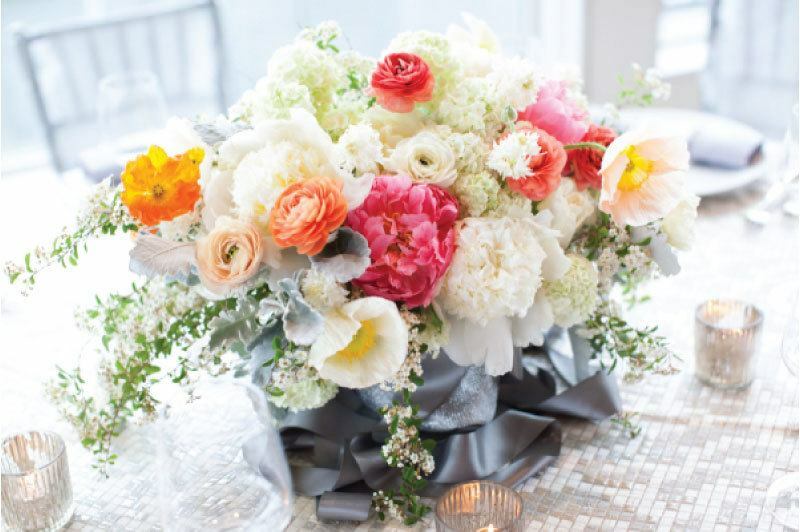 Vendor Credits // Flowers: Always Flowers // Photography: Levie Creative Co.